Over the past eighteen years Danza Pasion has grown to become Perth’s most respected and vibrant social dance studio. Danza Pasion offers Perth’s best Salsaand Street Latin, and Ballroom classes, all at the most affordable prices going around! Singles Welcome: Come with or without a partner! Learn in a Fun and Encouraging environment. Danza Pasion is Moving from the week of the 11th March! We are at the Sicilian club today and tomorrow, but this is our last week there. 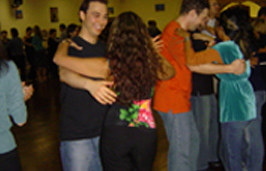 Salsa Course ( Now includes Bachata!!) Tuesday Night 19th March 2019 (The Vasto Club): Beginners and Intermediate 7.50pm, Advanced class 7pm. Ballroom Course – Wednesday Night 20th March 2019 (The Tuscany Club); Beginners and Intermediate 7.45pm, Advanced class 7pm. 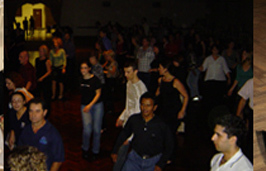 Both Salsa and Ballroom classes are followed by our weekly social which begins at 8.40pm Tuesday and Wednesday nights after classes. Free entry to all our students! Locations: Main Studio (Classes and Private Lessons Mon, Tuesday and Thur) The Vasto Club: 5 Vasto Place Balcatta. Wednesday Nights – The Tuscany Club 100 Jones Street Stirling. Principal Julie and her team of instructors believe that dancing is best learnt in a fun and encouraging environment, with routines used as a guide only. With this in mind Danza Pasion helps people feel and move to the rhythm of the music and encourages the use of freestyle movements. Even at the most advanced levels of learning, routines are only used to display what can be achieved rather than restrict the dancer. Whether it be the Cha Cha Cha, Argentine Tango, Salsa, Waltz or more, the ultimate goal is for the students to create their own style and character. Danza Pasion has been a registered business in Perth for 18 years and we are very proud to say that we are one of WA’s biggest dance studios.